This month was a busy one for Roblox Developers! We don’t want you to miss anything, so we have pulled together some of the key happenings in the developer community from the month of July. Check it out. As many of you already know, our annual developer conference, RDC, took place in San Francisco on July 13-15. Developers from all over met at a hotel just south of the city, and talked all things Roblox development. The conference featured three different tracks this year: Business, Design and Developer. The business track focused on building your business on Roblox; monetizing your games, advertising to increase player base, and much more. Design centered on building games for your audience, while the developer track provided insights into how to develop certain kinds of games, and how to optimize your development experience as much as possible. We’re excited to welcome developers to RDC EU in a few weeks! Keep an eye on our Twitter and the Developer Forum for more info about the event! We’ve wrapped up our module on building your business on Roblox, but continued on to a business-oriented topic; making money on Roblox! We’ve had some great submissions over the last month, and we have more great content on the way. 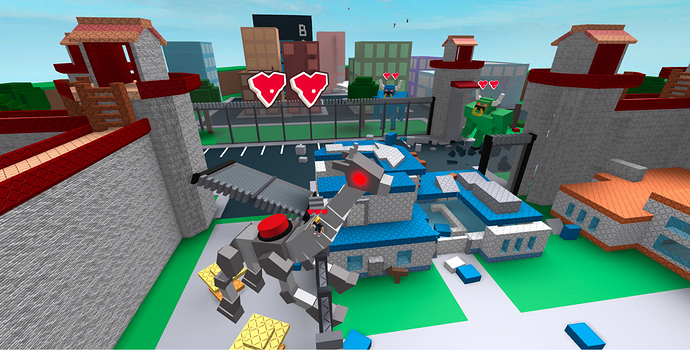 Check out what’s on the Roblox Developer Medium so far (links below), and keep an eye out for tutorials, articles and interviews with developers who have built in-game stores and monetized their games. MeshPart/Union CollisionFidelity Fix: Fixed an issue with MeshPart/Union CollisionFidelity - check your MeshParts/Unions! Roblox Needs a Backend Engineer. Apply now! : Roblox is looking for a Backend Engineer for the Game Services Team! This month, there were two Featured games sorts go up! If you’re interested in learning what it takes to get your game featured, be sure to check out these interviews with the July 10th and July 24th featured game developers! Yeah, RDC was basically my trip of the year lol.